Her TEDx talk brought her audience to tears with inspiration, then to a standing ovation! Catherine Bosley is an award-winning, veteran journalist, which includes thirty years of public speaking experience, with powerful and thought-provoking messages worthy of standing ovations. Your audience will be in awe at the insight she has to share, and by the end of the event, they'll walk away with actionable "check-list" strategies they can put to work immediately. Her experience and knowledge serve as both cautionary and inspirational leaving you motivated to take action--to take control! 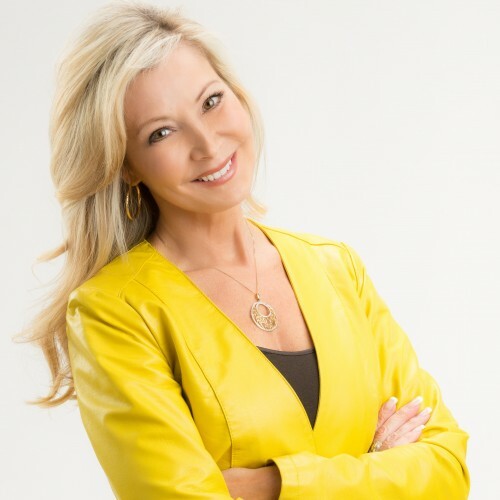 Known for her “down-to-earth” style and versatility, as an expert storyteller, Catherine’s captivating presentations draw on her own gut-wrenching personal story, which landed her national attention, even garnering invites for appearances on shows like Good Morning America, Inside Edition and Oprah. The life-changing experience arms her with unique and empowering perspective regarding some of today’s highest priority topics. That includes how to maintain and protect your social media image, how to stay clear of cyber-humiliation, & how to rise above life's most tumultuous times. Anyone who finds themselves a victim of harassment, abuse or wrongdoing of any sort needs to know how to stand up for themselves, but too often they can barely see through the pain to do so. Catherine tells her story from defeat to victory, offering hope and inspiration like no other. But what she has to say can be applied to a wide variety of challenges life throws at us. Her message includes insight on how to engage the inner strength we all possess, but aren't always aware of in the toughest times and how to embrace those times to as a chance to increase self-worth. More than liberating, as was the case with Catherine, it can be life-saving. They're all around us and can be activated with any Internet/social media post we make, as well as posts others make about us. It can turn a life upside down. Catherine shares and uses her own own story to raise awareness of how important it is to protect yourself, those you love, even your business. She provides her five-step check list on how to do so. No one thinks cyberbullying or cyber-shaming will happen to them, but no one is immune, and when it happens, it can be devastating. After surviving it on a global level, Catherine shares details of her story from the pain and hopelessness, to what, in retrospect, turned out to be the plan she came up with out of desperation to survive. After reflecting on it and refining it, she showcases it as a sure means of helping others successfully find their way out of the torment and rise above as well. "I thank you for doing an awesome job. You captured the audience’s attention as well as my attention from the moment you were introduced until the end of the program. You did such a great job in providing hope to others. I am so very proud of you and I am even prouder to say I know you." Find out more about Catherine Bosley at https://catherinebosley.com/index.cfm.